Aerotronics Inc. is an avionics sales, installation and service industry leader offering it's capabilities to commercial, general aviation and experimental aircraft customers while providing it's employees with a secure, safe and clean modern environment in which work. Aerotronics mission is to set the standard of innovation, craftsmanship and customer service to create a world class example of excellence for other industry leaders to strive for. To complete our mission, the customer shall expect that the craftsmanship and workmanship will be above reproach. The quality will adhere to the FAA and EAA industry standards as all of the members of the Aerotronics team will work together in the best interest of the customers' safety and requests. The team of Aerotronics will listen to the customers' concerns, remain competitive and give customers options for solving their problems. 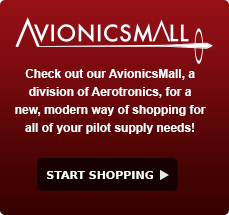 The customers will then have a one-stop avionics facility with which they will enjoy doing business. The customer shall find a friendly atmosphere with a modern, clean, inviting and well-stocked business. They will feel confident that they are being provided a professional and concerned approach to fulfilling their needs in a timely manner. The attention given to the customer's aircraft and equipment, when in our control, will also add to their feelings of care and concern for them. Should the need arise for additional services such as lodging, transportation, loaners or other requests, the customer will find the staff at Aerotronics eager to fulfill the requests. Aerotronics continued pattern of growth will be an indication of the success of retaining a positive reputation with it's customers and employees, reinvesting in the employees and the business local community while providing continued long term support to the customer and the aviation communities. To achieve our mission, the customer will find that the employees respect, loyalty and positive attitudes will ensure complete customer satisfaction. Our motivation is your satisfaction. As we work toward accomplishing our mission, the customer, the employee and the owners should find Aerotronics an enjoyable experience.